Do You Have a Dehydrated Cat? Summer heat is a top (but, as we’ll learn, not the only) cause for cat dehydration. So, how do you know if you have a dehydrated cat on your hands, what can you do to help a dehydrated cat and how can you prevent cat dehydration before it happens? Two summers ago, my air conditioner exploded during one of the hottest weeks of the year. Outside, the temperature never fell below 80 degrees, even at night, and indoors, the thermostat stood fast at a sweltering 90. My cats took it hard — Salvypoo, who normally sprints around the house like a maniac and occasionally tries to run up the walls, languished on the floor, looking as though he’d melted into an adorable striped puddle. To help him and my other cats avoid dehydration, I gave them ice cubes to lick. So, what are the symptoms of a dehydrated cat and how do you keep a cat from getting dehydrated in the first place? 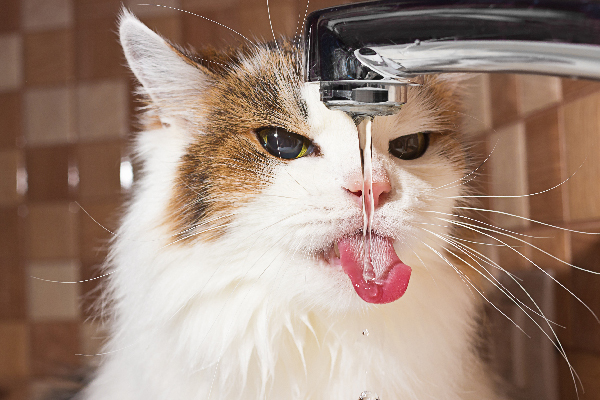 Ensure your cat gets plenty of fresh, clean water to drink — especially in the summer months. Photography ©phant | iStock / Getty Images Plus. If your cat isn’t acting like himself — particularly on these long, steamy days — you might have a dehydrated cat on your hands. Where I’m from in Kansas City, Missouri, the weather has been consistently hot and humid for two months now, making it harder to do many things — exercise, get up early, eat anything other than ice cream and, perhaps most importantly, stay hydrated. Avoiding dehydration isn’t just important for us humans — it’s also essential for the well-being of our cats. A dehydrated cat is at risk for a series of health issues, including kidney problems, urinary crystals — and even death. The good news is that dehydration in cats is easy to prevent. If you watch your kitty carefully and make sure she’s getting enough fresh, clean water to drink each day, you can help your cat avoid becoming dehydrated. Here are a few things to look out for when dealing with a dehydrated cat. 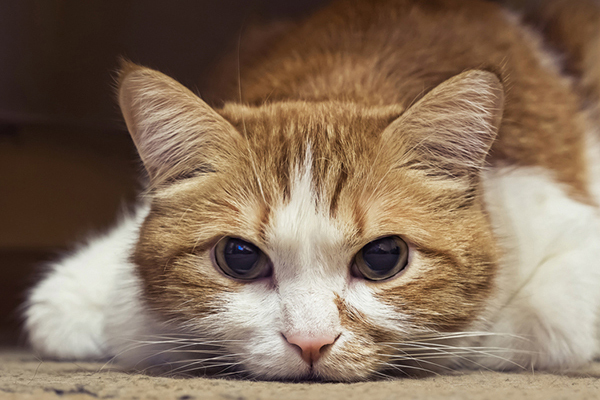 It can be tough to recognize a dehydrated cat if you’re not looking for the signs, but some general symptoms include lethargy, loss of appetite, elevated heart rate and panting. Skin elasticity and thick or decreased saliva in the mouth are also telltale signs of a dehydrated cat. To test skin elasticity (turgor), gently pull up on some skin at the scruff of your cat’s neck. If you do have a dehydrated cat, her skin will snap back into place more slowly. A dry nose may also signal a dehydrated cat, but according to veterinarian Dr. Eric Barchas, this isn’t the best way to assess whether or not you have a dehydrated cat on your hands. The causes of dehydration in cats are similar to the causes of dehydration in humans, including vomiting, diarrhea, illness, overheating and not drinking enough water. Cats may drink too little and become dehydrated if fresh, clean water is not readily available. Increased urination due to diabetes or kidney disease can also cause your cat to become dehydrated. Which cats are most at risk for dehydration? All cats are potentially at risk for dehydration, but some are at a higher risk than others. The cats with the highest risk for dehydration include kittens, older cats, diabetic cats and mother cats nursing a litter of kittens. The good news about dehydration in cats: In many cases, you can prevent cat dehydration before it happens. The first and most obvious way to prevent cat dehydration is, of course, to encourage your feline friend to drink more water. This advice is simple, but following it is not necessarily easy; I give my cats fresh water every day, and some days it seems as if they don’t drink any of it. How can you make sure your cat drinks enough water and avoids dehydration? Keep your cat’s water bowl filled with fresh, clean water to avoid dehydration . Photography ©Lightspruch | iStock / Getty Images Plus. There are several ways to get cats to drink more water to prevent dehydration, including putting ice cubes in your cat’s wet food, placing multiple water bowls throughout the house, refilling water bowls regularly and using cat fountains. 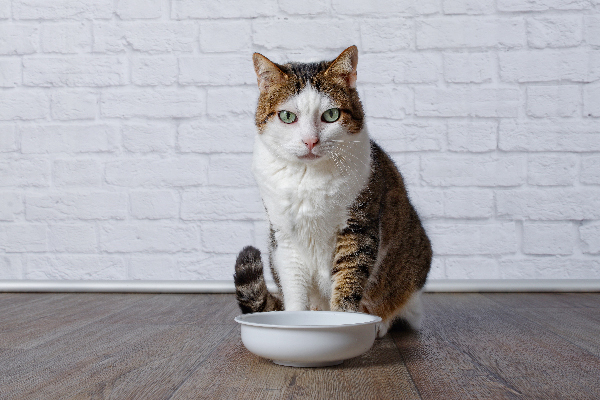 Some finicky cats only prefer water from certain types of bowls, and some will drink more if you flavor their water with tuna juice or chicken broth. It may take experimentation to figure out what your cat prefers, but preventing dehydration is absolutely worth it. A slightly more complicated question is how much water a cat should drink to avoid becoming dehydrated. This depends on several factors, including the size of your cat, what the weather is like and whether your cat’s diet includes mostly wet food, which is approximately 80 percent water, or mostly dry food, which is only about 10 percent water. According to this Catster article on wet food vs. dry food for cats, a cat who eats a dry food-only diet should drink one cup of water for every 10 pounds of bodyweight to avoid becoming dehydrated, while cats eating wet food need half that much. Dr. Overeem suggests observing your cat’s eating and drinking habits on a daily basis so you’re aware of any problems. “And if your cat goes outside, try to schedule outside time during the cooler hours rather than mid-day, and never leave a cat inside your un-air conditioned car in the summer,” she adds. And while you’re at it, keeping the air conditioner running at home won’t hurt, either. 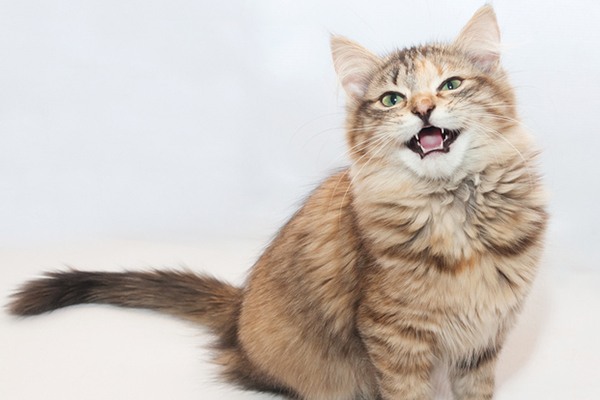 Tell us: Have you ever had a dehydrated cat? What caused your cat’s dehydration and how did you fix the issue? How do you keep your cat from getting dehydrated? SubQ is a MIRACLE. Our Squee Bomb had a hunger/drinking strike a few years ago after the introduction of some new cats. The fluid treatment helped him feel better and he soon got over himself and started to eat and drink on his own. Sadly, one of the new cats had incurable Kidney failure, and we soon had to worry about his hydration. This cat, Hugo, also thrived for some time with SubQ to help him stay hydrated. Hugo adored drinking from the sink, as he was very thirsty, to the point we often let the tub ‘drip’ into a bowl for him to drink all day long. Sadly, Hugo lost the fight two years ago in December. Now, our Squee Bomb has early stage kidney failure, and we’ve avoided SubQ so far. We add water to his wet food (he’s a gravy fanatic) and have icy water dotted about the house. Oddly enough, simply setting a fresh water in front of him makes him stop and drink, especially in these hot days. I would take her to the vet-just to underlay any other medical issues. I have a fountain on my back deck that my kitties and the 3 stray kitties that come around drink out of. I think the running water attracts them. They love it! I was just at the vet with one of my cats yesterday for being lethargic not eating etc. It has been quite hot in my area which is unusual. Give her a complete check over and nothing showed excepted she was slightly dehydrated. Her gums were tacky. So they gave her some Sub Q fluids and by nighttime, she was back to her old stuff again. Putting out bowls of cool water with some ice in them to keep them cold for the ones that go outside. Outside leave a big bowl in the shade by my sidewalk with ice so my neighbours who are walking their dogs can have a drink as well. The birds, butterflies,and bees help themselves to that as well. I mix a tablespoon of water with their wet food – they like ‘gravy’ anyway. I make sure their water bowl is fresh and cool – add a couple ice cubes throughout the day. I also keep the fans on and the shades down to try and keep the house as cool as possible. My concern with dehydration regards our community cat who lives outdoors. We feed her wet food every night, and leave plenty of water on the porch for her. But she’s still very lethargic and is sleeping on the porch more than ever. We live in a desert climate with summer temps over 100 degrees. Do you have any other suggestions that might help her better hydrate during our unpleasantly hot summer?